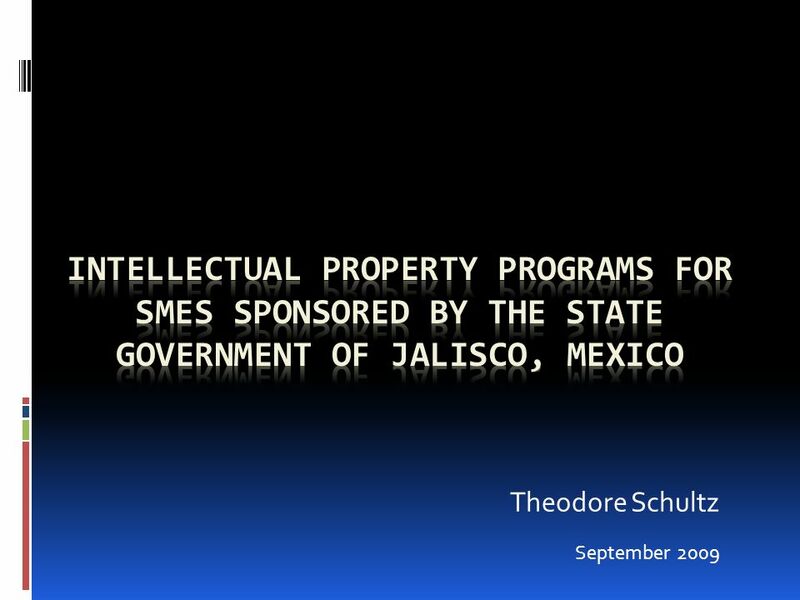 Theodore Schultz September 2009. 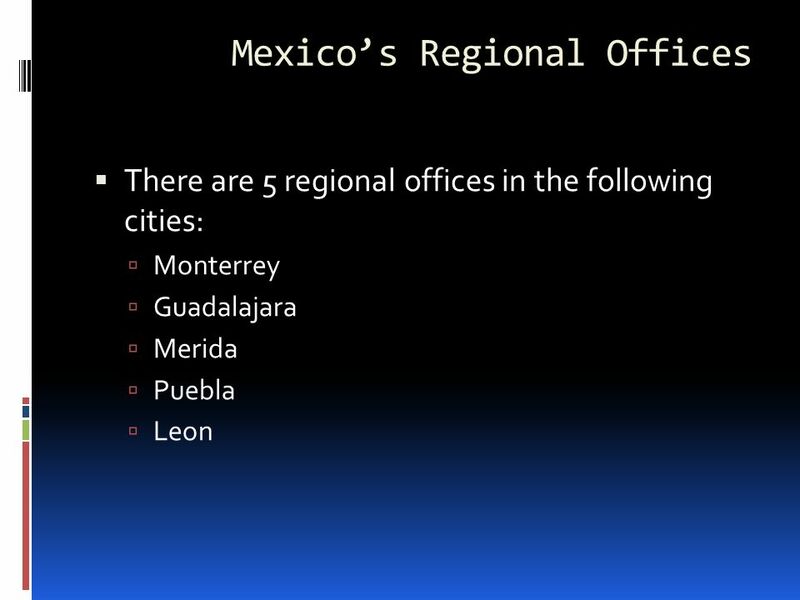 Mexicos Regional Offices There are 5 regional offices in the following cities: Monterrey Guadalajara Merida Puebla Leon. 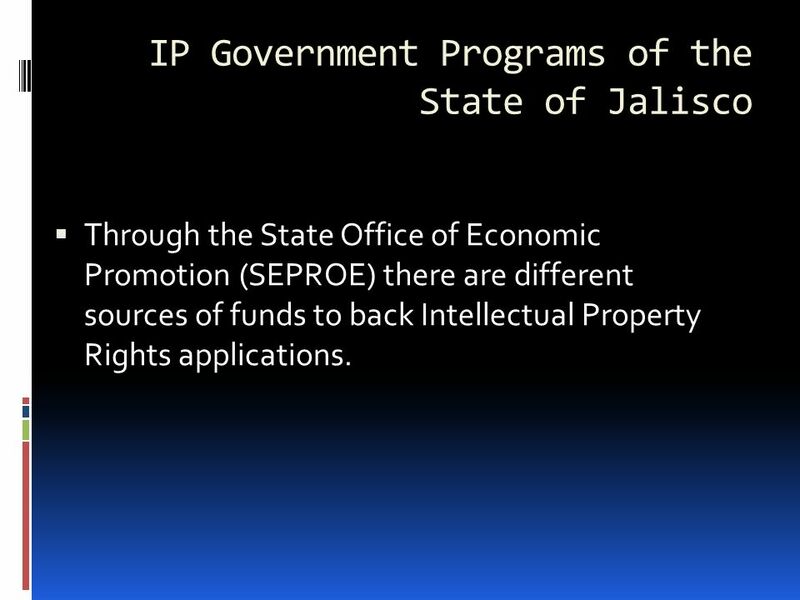 6 IP Government Programs of the State of Jalisco Through the State Office of Economic Promotion (SEPROE) there are different sources of funds to back Intellectual Property Rights applications. 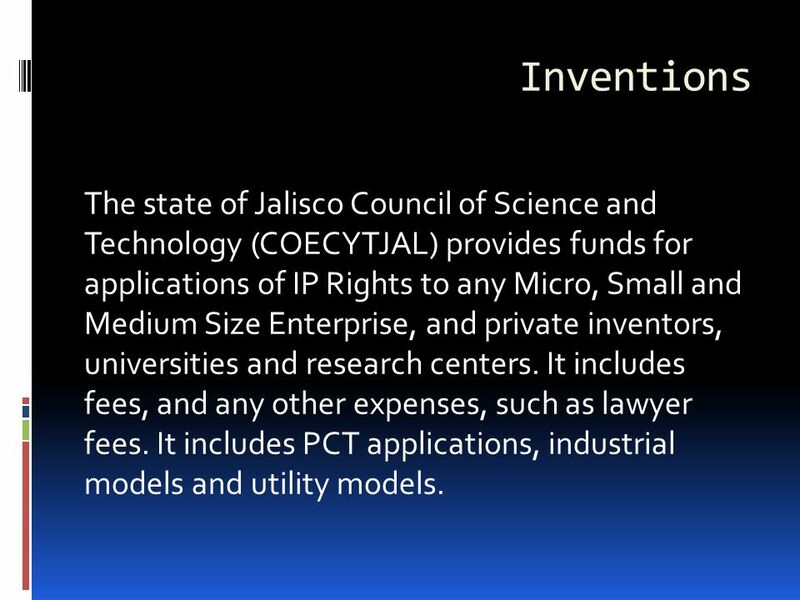 7 Inventions The state of Jalisco Council of Science and Technology (COECYTJAL) provides funds for applications of IP Rights to any Micro, Small and Medium Size Enterprise, and private inventors, universities and research centers. 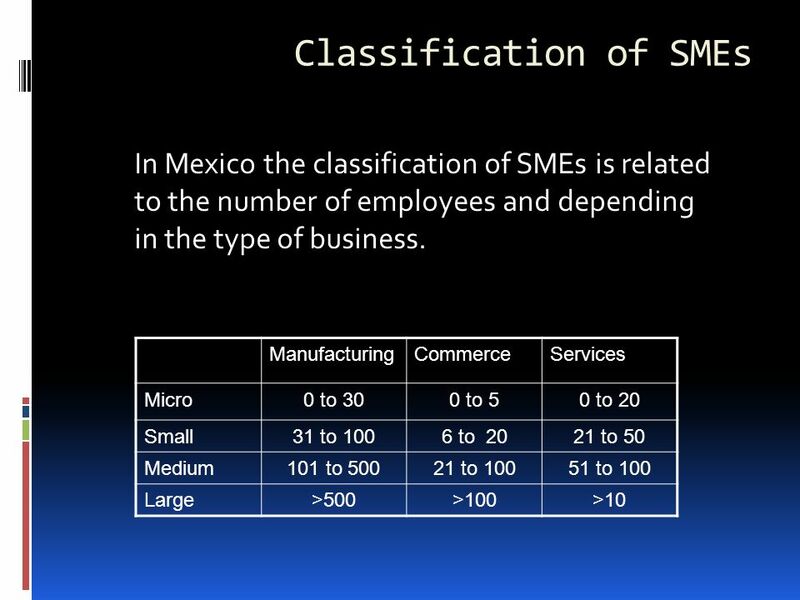 It includes fees, and any other expenses, such as lawyer fees. 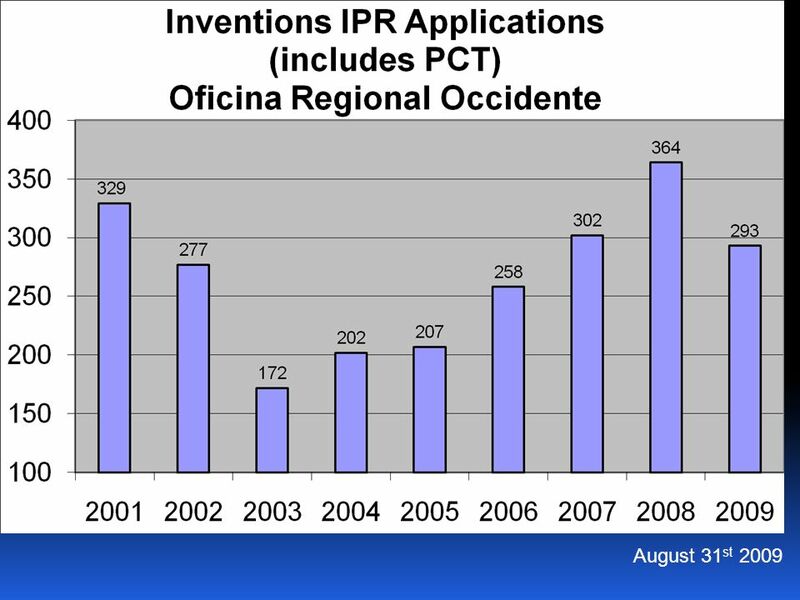 It includes PCT applications, industrial models and utility models. 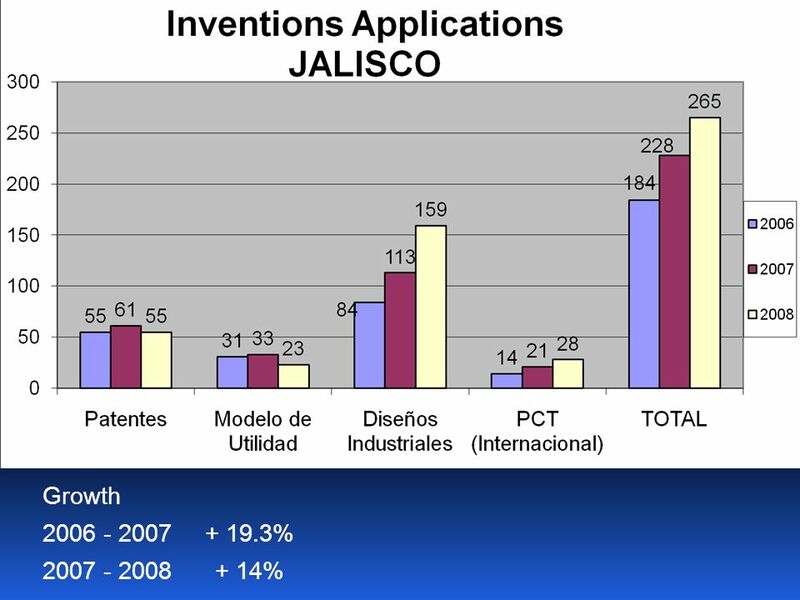 8 Inventions.. 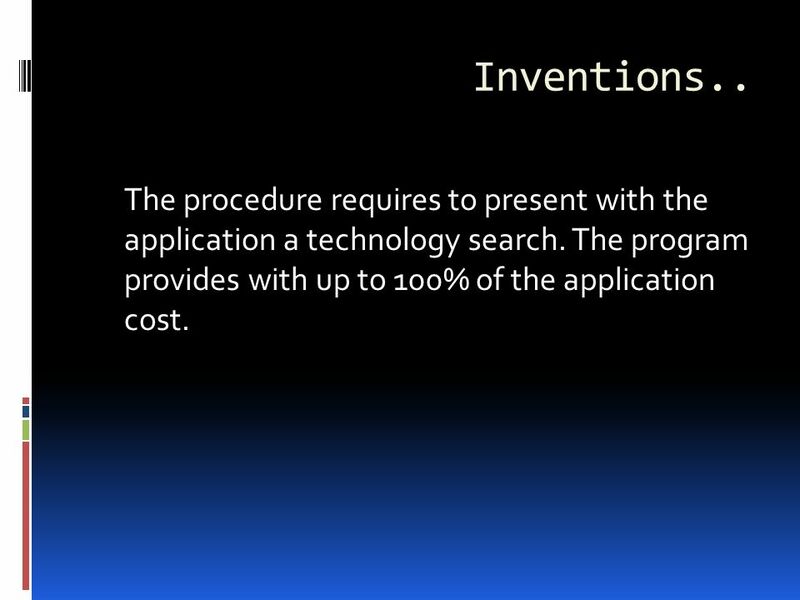 The procedure requires to present with the application a technology search. 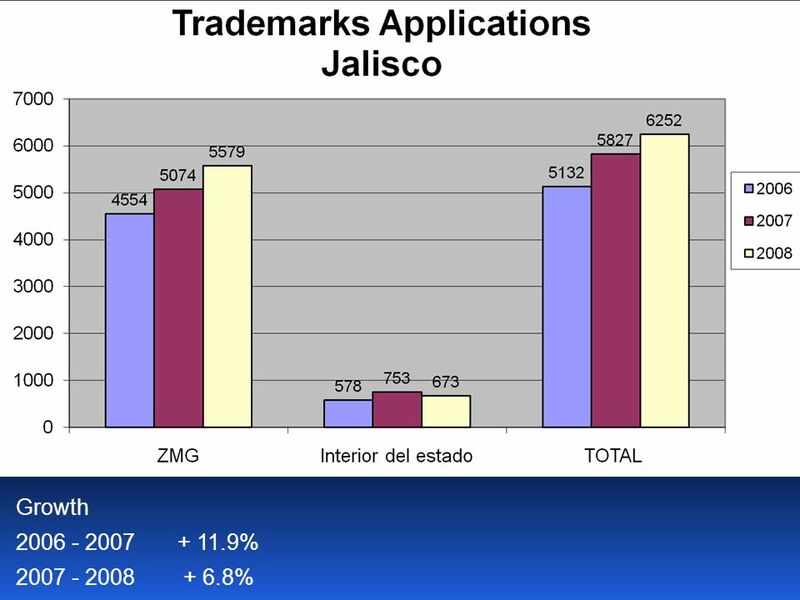 The program provides with up to 100% of the application cost. 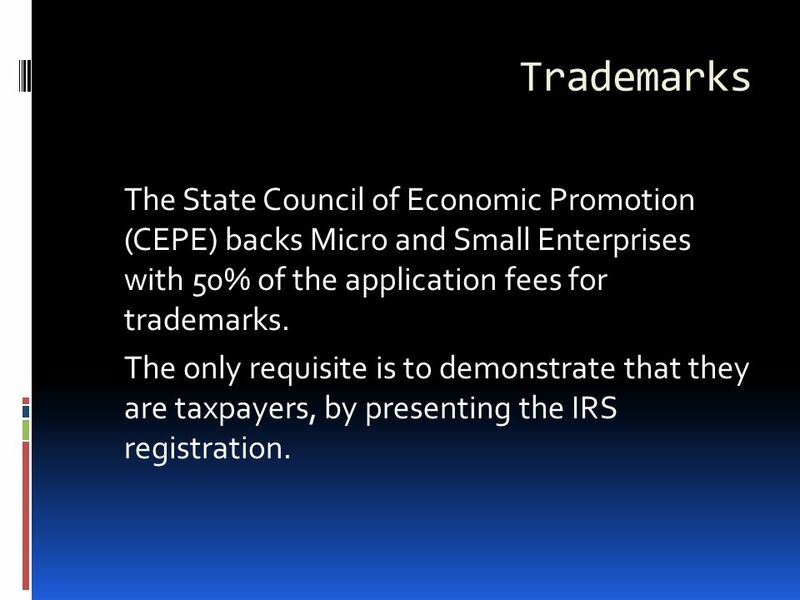 9 Trademarks The State Council of Economic Promotion (CEPE) backs Micro and Small Enterprises with 50% of the application fees for trademarks. 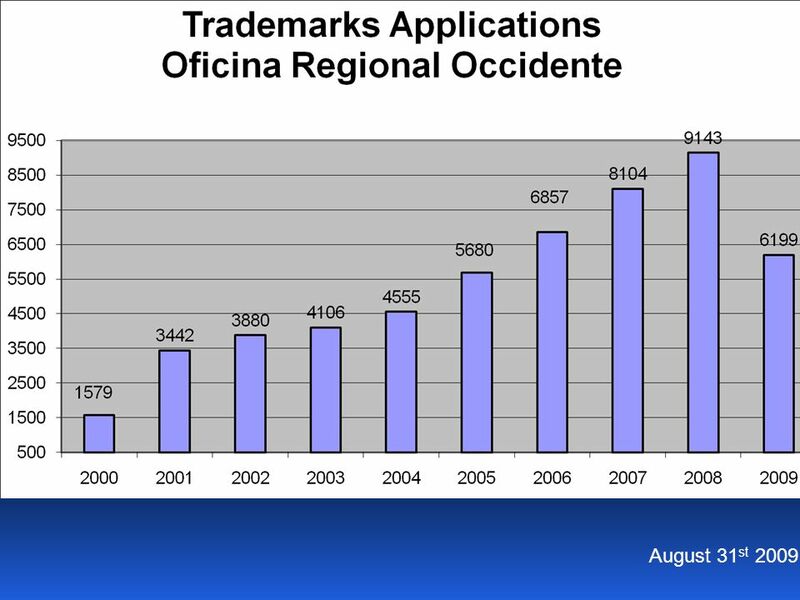 The only requisite is to demonstrate that they are taxpayers, by presenting the IRS registration. 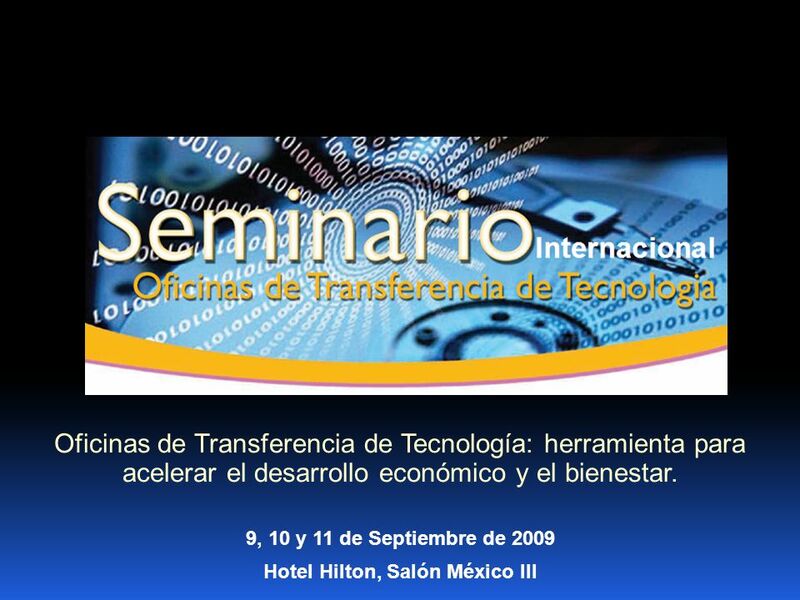 Descargar ppt "Theodore Schultz September 2009. 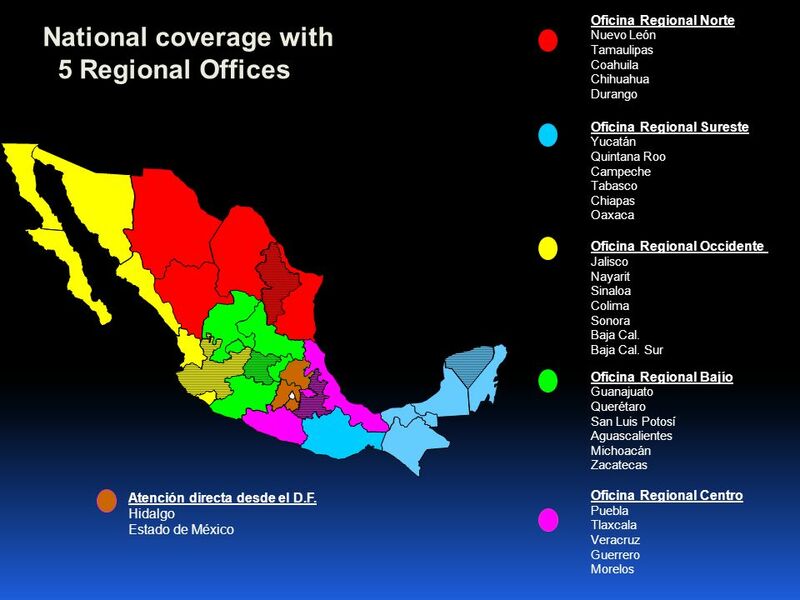 Mexicos Regional Offices There are 5 regional offices in the following cities: Monterrey Guadalajara Merida Puebla Leon." 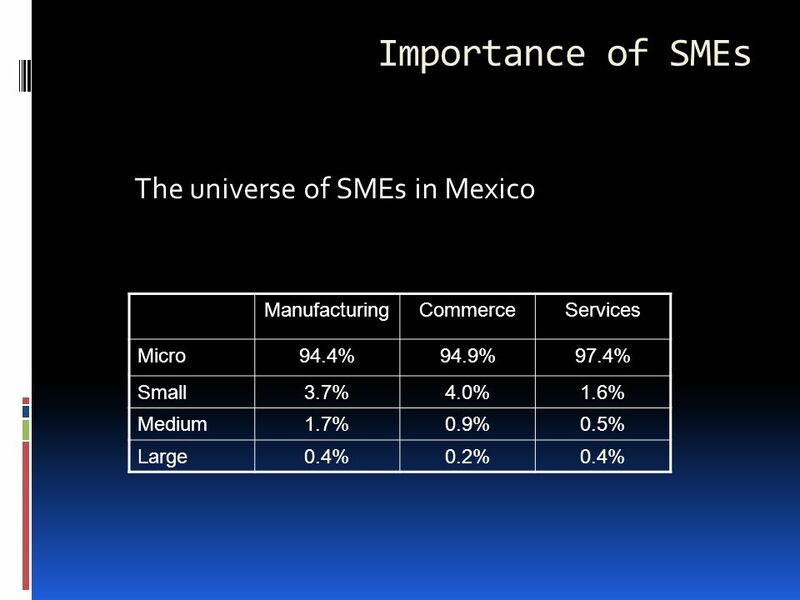 Each country is grouped with itself, names are also grouped with themselves and by country. 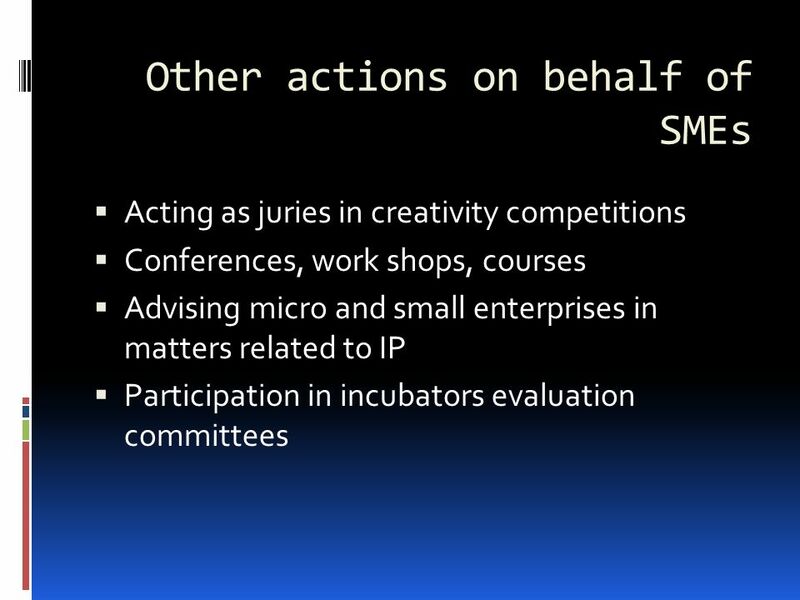 Ungroup is in the Draw Popup menu in the lower left corner.